Is It Time for a Roofing Project? Home » Our Blog » Roofing » Is It Time for a Roofing Project? One of the biggest maintenance expenses for most homeowners involves roof replacement. You need expert advice from roofing contractors to determine if you need a new roof or just a roof repair. Here are several deciding factors to help you in making the right decision. In Florida, asphalt shingle roofs last around 15 years due to the wet, hot climate. GAF produces asphalt shingles that last longer with proper installation and maintenance. If your roof gets frequent leaks or other damage and is nearing the 15-year mark, you will likely need to replace it. If your roof has two layers of shingles, a complete tear off and roof replacement is necessary. Roof companies can then examine the condition of your roof deck and framing. If necessary, they can repair any rotted wood. Missing, torn or damaged shingles are signs of storm damage as well as other roof problems. Poor roof ventilation can trap heat and moisture inside attic spaces, which can “fry” and peel the shingles from underneath. We can determine if you have enough intake and exhaust vents to stop this cycle. Hurricanes and smaller storms may cause devastating roof damage. They can also cause hidden yet dangerous issues that result in slow leaks. If your energy bills start rising and water stains appear after a storm, your roof may be damaged. This doesn’t mean you need a replacement right away. Instead, call an expert like us for emergency repairs. Immediately after the storm, we can assess the damage and provide the final solution. Depending on the extent of the damage, we can repair your roof or suggest a replacement. Usually, a simple roof repair procedure can resolve roof leaks or damaged shingles. 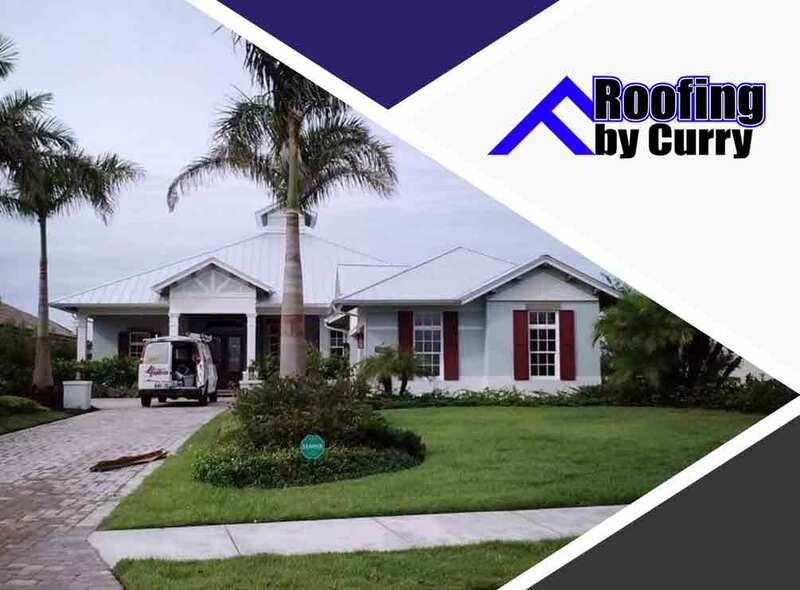 Turn to Roofing by Curry, one of the top roofing contractors, for all your roofing needs. We can provide you with quality roof repair and replacement services. We serve Sarasota and the surrounding areas. Call us at (941) 270-4770 to get a free estimate today.